Should Your Hotel Have Its Own Blog? 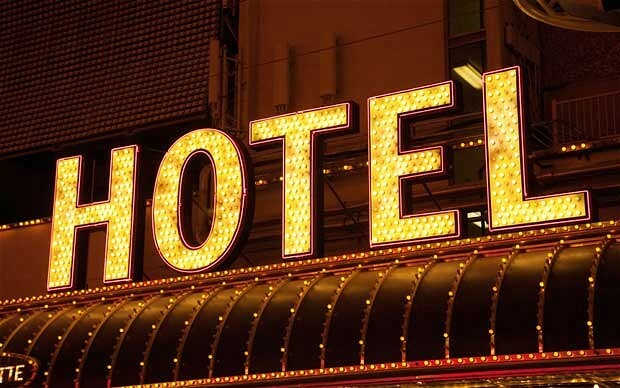 Here’s an easy question to answer: How do you think most travelers locate good, quality hotels? The answer, of course, is the Internet, and in particular search engines. In fact, a recent article from Hotel News Resource—a leading publication in the hospitality industry—suggests that 70 percent of travelers use Google to find information about hotel accommodations. This has a clear implication for those who happen to be in the hotel business. Simply put, if you’re not present on search engines, you’re not going to get very many bookings. With the search engine landscape growing increasingly crowded, however, hotel owners and managers need new ways to distinguish themselves from the rest of the pack. Content marketing holds the answer. In particular, hotels need to implement blogs in order to furnish search engines with fresh, relevant content—because that, much more than keywords or SEO trickery, is what generates solid search engine rankings. There are other reasons for hotels to implement blogs, too. A blog can provide potential guests with a compelling reason to choose your hotel over the one right across the street, or just down the road. Your hotel and your competitor’s hotel may not be all that different, but what if yours is the one offering a fun list of things to do in the area, some restaurant recommendations, or other helpful tips? Suddenly, yours is the hotel people are going to associate with true hospitality, because yours is the one with its own online concierge service. Offer something truly helpful for those who have never been to your city. Frankly, nobody really wants to read blog entries about your hotel. Instead, focus on the travel experience. Write blogs about the local area and all that there is to see and do. Some examples might be: 10 Fun Things You Didn’t Know About in Philadelphia; Top Family Activities in the Charlotte Area; 7 Free Things to Do in Nashville; Fun Things to Do Within Walking Distance from Our Hotel. Provide some practical tips. Part of the reason you’re blogging is to establish your hotel as the one that’s really invested in its guests having a good, safe, successful trip. So, blog about the best way to pack for a weeklong trip, with only one carry-on item. Offer some ideas for setting up a hotel room for a meeting or conference. Suggest some ways for your guests to stay on their diets or fitness plans, even when they’re away from home. Review local eating establishments. People will be traveling for different reasons, but all of them are going to need to eat. Highlight some local options by writing up a monthly or bi-weekly review of favorite local restaurants. Highlight what makes your hotel stand out. While you don’t want to write too many entries that are focused on promoting your hotel, you might write an entry that provides truly helpful information about your hotel—outlining the rewards program, showing off some of your hotel’s initiatives to go green, or even profiling the hotel’s head chef. The benefits of blogging are numerous, and the possible avenues for content are several. For hotels looking to take their bookings to the next level, then, this one is a no-brainer.